Act in your community this Earth Day! 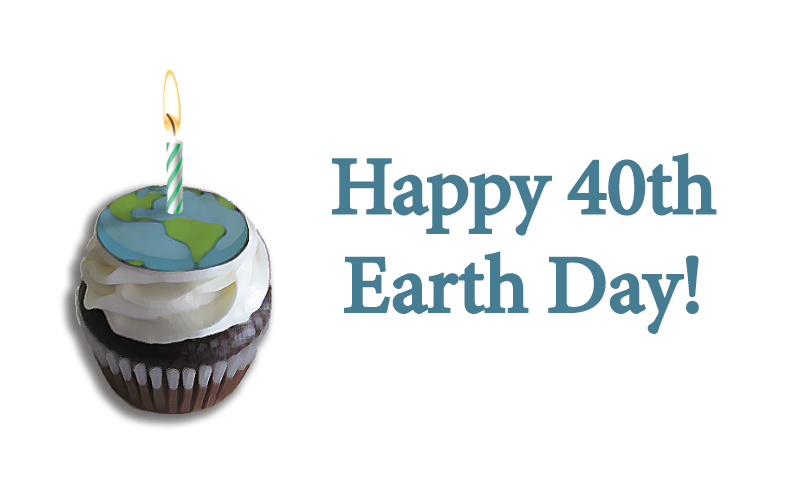 So much has changed since the first Earth Day 40 years ago. And one of the most significant changes is YOU – people of faith – who have come together to save God’s creation. We have an unprecedented opportunity in front of us. We must address global warming now. Interfaith Power & Light put together resources for you to use in your community this Earth Day, April 22nd. Please join us and be a part of the global interfaith community that is standing up to insist that loving God and God’s creation in our hearts goes hand-in-hand with our words, our actions, and our legislation. Find local Earth Day 2010 events at EarthDay.net! Below you’ll find film recommendations for hosting a screening in your congregation and 40th Earth Day postcards to senators for taking action. Clergy: We invite you to visit our Clergy Corner page for past Earth Day sermons and other worship resources. Remind senators how important it is that we celebrate Earth Day by protecting the climate. Distribute these postcards in your faith community to mail to senators. This Earth Day, let’s celebrate the Earth by protecting the climate. As a person of faith, I believe we need to be good stewards of creation by using energy wisely. Please pass legislation this year that caps global warming pollution and helps us transition to a clean energy economy. All films have been approved for screenings in congregations. Interfaith Power & Light is able to offer a DVD copy of A Sea Change for an exclusive price of $6.00! Purchase A Sea Change now. A Sea Change follows the journey of retired history teacher Sven Huseby on his quest to discover what is happening to the world’s oceans. His quest takes him to Alaska, California, Washington, and Norway as he uncovers a worldwide crisis that most people are unaware of. Speaking with oceanographers, marine biologists, climatologists, and artists, Sven discovers that global warming is only half the story of the environmental catastrophe that awaits us. Excess carbon dioxide is dissolving in our oceans, changing sea water chemistry. The more acidic water makes it difficult for tiny creatures at the bottom of the food web to form their shells. Chock full of scientific information, the feature-length film is also a beautiful paen to the ocean world and an intimate story of a Norwegian-American family whose heritage is bound up with the sea. A Sea Change debuted in March 2009, to a record, standing-room only audience at the Smithsonian Museum, and a standing ovation. Since then, the film has screened at festivals in North America, Europe, and Latin America, garnering multiple awards. Screen this film in your congregation for Earth Day. Interfaith Power & Light is partnering with Dirty Business to offer a DVD copy of Dirty Business for a special price of $6.00 for faith communities! For individuals, the cost is $15.00. Purchase Dirty Business now. Dirty Business reveals the true social and environmental costs of coal power and tells the stories of innovators who are pointing the way to an alternative energy future. Guided by Rolling Stone reporter Jeff Goodell, the film examines what it means to remain dependent on a 19th century technology that is the largest single source of greenhouse gases. Can coal really be made ‘clean’? Can renewables and efficiency be produced on a scale large enough replace coal? The film seeks answers in a series of stories shot in China, Saskatchewan, Kansas, West Virginia, Nevada and New York. Screen this film in your congregation for Earth Day. The first 150 purchases of this DVD will receive a special discounted price of $5.00 (savings of $19.95) exclusive to IPL congregations. All you have to do is enter the discount code “IPL5T” at checkout. Get Dirt now! Dirt takes you inside the wonders of the soil. It tells the story of Earth’s most valuable and underappreciated source of fertility-from its miraculous beginning to its crippling degradation. Narrated by Jaime Lee Curtis, Dirt brings to life the environmental, economic, social and political impact that the soil has. It shares the stories of experts from all over the world who study and are able to harness the beauty and power of a respectful and mutually beneficial relationship with soil. DIRT! the Movie is simply a movie about dirt. The real change lies in our notion of what dirt is. The movie teaches us: “When humans arrived 2 million years ago, everything changed for dirt. And from that moment on, the fate of dirt and humans has been intimately linked.” But more than the film and the lessons that it teaches, Dirt is a call to action. Enter the discount code “IPL5T” at checkout and receive an exclusive discount (first 150 purchases only). Get your copy of Dirt now! Participate in the live national simulcast event on Wednesday, April 21. Watch online or organize a group screening in your congregation. Experience special music and guests, an exclusive look at the new Blessed Earth video series featuring Dr. Matthew Sleeth, and interact with others across the world in a live townhall setting. Partners include the National Association of Evangelicals, the nondenominational Christian congregation Northland Church of Orlando, and Asbury Theological Seminary. Learn more about the event and sign up.